As a sports chiropractor in Beverly Hills, Los Angeles and West Hollywood I operate as problem solver for many people experiencing musculoskeletal pain. My approach as a sports doctor is to see how people move, because it is in dysfunctional movements that I am able to see what is causing the underlying problem. When a new patient comes into my office, much of my evaluation concerns how the person is moving.One of the major areas to evaluate movement is the feet. The feet, as our foundation, have direct connections to the ankles, knees, hips and low back, so anything from plantar fasciitis tolow back pain has got me looking at the gait—the way the body moves during locomotion. If a foot dysfunction is present, then the real long-term answer is to correct the underlying gait abnormality. When evaluating musculoskeletal pain conditions, like low back pain for example, chasing the pain itself is usually futile. Any good chiropractor knows that pain can be misleading—it can be referred(from a location other than where the pain is felt), radiating (traveling from another area), or secondary to another problem. In each one of these cases, simply attending to the painful area will only lead to frustration and confusion. 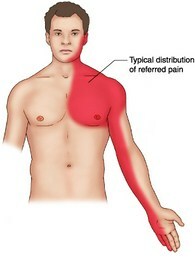 Pain is an important warning signal that something is wrong with the operation of the body. Please note that my philosophy on all health is physiology dependent—I am concerned with how the body is operating. Only dysfunction matters when evaluating health and illness, and this is true of the musculoskeletal system as well. Pain is often one of the first signs that something is wrong biomechanically (not true for some organic problems like cancer, diabetes or metabolic diseases, so don’t chase pain here, either—see a doctor); use that to guide you in making your first step—get evaluated by a sports chiropractor. But again, simply chasing pain is foolish and futile, so a good sports chiropractor probably won’t do it. Trust your doc, they’ll help you get to the source of your pain. A foot dysfunction, at its basic, is a faulty movement pattern happening at the ankle joint. The feet are intricate and complex structures that are meant to move in very distinct patterns. This does not mean there is no variability—people are different, and they will vary within certain parameters. A foot dysfunction varies outside those parameters. The two major dysfunctions of the feet are overpronation and Oversupination. Pronation is the turning in of the foot that allows rolling and launching off the big toe—it is known as the toe-off portion of the gait cycle Pronation is a normal movement. Overpronation, on the other hand, is a dysfunctional movement where the foot has to turn in excessively to overcome the loss of arch accompanying flat feet. In its true orientation, overpronation is technically eversion, abduction and dorsiflexion of the foot. 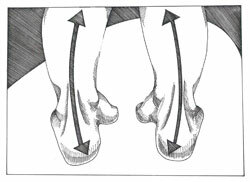 To get a visual: think flexed foot, turned outward and arch (midline) collapsing toward the ground. Flat feet can vary in their degree of collapsing, so flattening is not always apparent to the untrained eye. More importantly, overpronation is the dysfunctional movement described above. This is very important for the evaluating doctor to understand as an apparent absence of flat feet does not a foot dysfunction rule out. Because many of these people land on the outer portions of their feet and then have to roll excessively toward the midline to launch off their big toe to take a step, overpronators usually wear out the outsides of their heels and soles, which is apparent on inspection of the shoes. Go ahead, look at the back of your shoe and down at the heel to get an idea if you might be an overpronator. 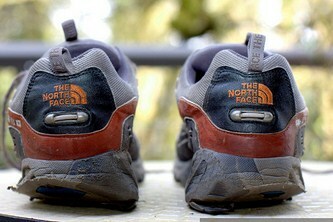 If you see excessive wear on the outer portion (new shoes will show less)—call a Beverly Hills sports chiropractor, quick! Another foot dysfunction I see quite regularly in my sports chiropractic office is called oversupination (aka—underpronation). 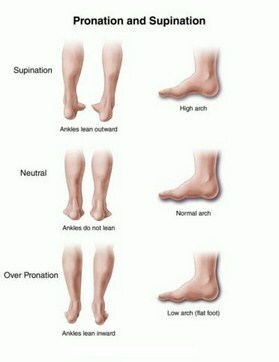 Whereas overpronation is excessive turning in of the feet, oversupination is a deficiency. The oversupinating foot actually stiffens and restricts turning in. The arches are usually high and callus formation occurs on the outer portion (lateral aspect) of the foot. Oversupination also falls outside of functional parameters, and is a combined inversion, adduction and plantarflexion of the foot. Because the foot is rigid in oversupinators, these people feel like they are walking, and rolling on the outer (lateral) portion of the foot. The visual: think pointed foot (like ballet), turned inward and high arches. 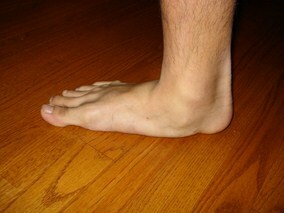 The heel, or calcaneus, will appear to turned toward the midline in oversupination. It doesn’t mean that everyone with foot dysfunction will have all of these problems, but guaranteed they’ll have at least one, and often, many of them. People often ask why if their problems stems from a foot dysfunction, has it only come out as symptoms now. Good question. My answer: Although your feet have had the underlying dysfunction your entire life (it is partly inherited, partly learned), sometime symptoms are not bad enough until later in life to warrant your doing something about them. The most common scenario I see is people in their thirties or forties coming into my office with one of the problems listed above. Many scenarios could be in play for why they did not need to seek help earlier. For many of my clients, they had been diagnosed with foot dysfunction earlier in their lives, some as teenagers. But other possibilities are: symptoms were ignored, but are no longer ignorable; symptoms were there but at a low level, so they were never addressed; the years of wear and tear have elevated the symptoms to a degree that are becoming life-disrupting. Whatever the reason for the current expression of pain and symptomatology related to foot dysfunction, the problem must be corrected or the hobbling condition will return again and again and again. The best and quickest fix for foot dysfunction is wearing a pair of custom-made orthotics. 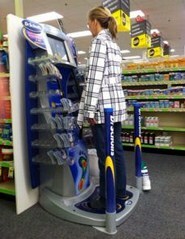 Orthotics are foot-support insoles that are customized to the foot of the client. Now there are a few casting methods that seem to be very popular with both podiatrists and chiropractors, but I warn, they are inferior in my opinion. The first inferior casting method is stepping into a foam filled box. Because the client is stepping down (weight-bearing) into the box, they are, in fact, stepping into their dysfunction. The result, then, is an orthotic customized…to the person’s dysfunction. The second inferior casting method is the use of a computerized scanning machine, which are certainly fancy, but they have the same problem as the foam cast—the person is stepping down, or weight-bearing, into their dysfunction. I am not saying that these orthotics are useless (they are better than over-the-counters, which are not customized), they just are not as good as an orthotic plaster-cast in a non weight-bearing position. The way I cast in my office is by making a plaster cast of the foot while the patient is lying face down on a table. Because the person is off his or her feet, I can then place the ankle joint in a position called subtalar neutral. This is the proper position for correct foot biomechanics. It is the deviation from this position—beyond the parameters—that leads to the biomechanical dysfunction and results in pain and breakdown. Casting in the non-weight bearing, subtalar position is the superior way to cast orthotics. Many chronic and stubborn maladies can be corrected with this type of orthotic. I used to cast in the inferior foam box method for a couple years when I first started practicing. Casting in the subtalar position has demonstration outstanding result for my client base. And as a bonus—the company I use, Biomechanical Services, makes top quality product used by many professional athletes around the country (including some of my clients). Without any doubt, custom orthotics are the best answer to correct conditions secondary to a foot dysfunction. One thing I need to emphasize to my West Hollywood chiropractic clients is that orthotics will not necessarily clear up the problem you hobble into my office with. What I mean is that we still need to treat—chiropractically, and with exercise rehab—the primary condition. So subluxations need adjusting, tight muscles need stretching, and weaknesses need strengthening. But orthotics will give support, so that the condition(s) does not recur every few months or years and lead to rapid breakdown of the body. In a nutshell, you will still need to undo what has been done over the years due to your funky feet, but the orthotics will prevent a redo. I teach a class on sports injuries to chiropractors every month. In practically every class the subject of barefoot running comes up, and the idea that foot dysfunction can be permanently corrected with exercise. I’ll tell you what I tell my students: I’ve never seen it. Now I am not rejecting the remote possibility that one can correct a foot dysfunction structurally. I doubt it, but I certainly don’t deny it. But as I said in the beginning, I am hired to help people solve physical problems—I do not get paid to theorize or test hypotheses on my clients. They pay me to find an answer. Orthotics are the best answer I know of (practically, through clinical experience) to correct the multitude of problems caused by foot dysfunction. 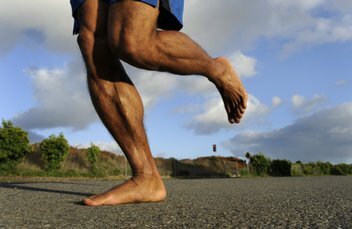 As far as barefoot running is concerned, I will say it is an interesting theory; it is based on some undeniable biomechanical and evolutionary truths. But as it stands, it is still a theory. Despite some claims to being heavily researched, barefoot running as far as I know is without any significant data to claim it is an effective tool in resolving musculoskeletal pain conditions (foot/ankle issues and low back pain specifically, as it is claimed by some). Plain and simple, barefoot running is unproven. I hope it is the answer for musculoskeletal pain conditions. Wouldn’t it be great to kick off our footwear, run a few miles and live in pain-free bliss? But as of now, nobody can say for sure that this is the case—in fact, I have several patients right now trying barefoot running. Some are reporting beneficial results, others not. My feelings are that this is what will be the case in the future—it will help some and not others. So for my money—nothing beats custom-made orthotics to clear up foot dysfunction and prevent many musculoskeletal pain conditions. When somebody hobbles into my office, I look at their feet. If they overpronate or oversupinate, I will recommend orthotics. Hundreds of my clients will attest to their efficacy. Resolve pain and premature breakdown by getting cast for and wearing your custom-made orthotics today. It is definitely a supported step in the right direction.